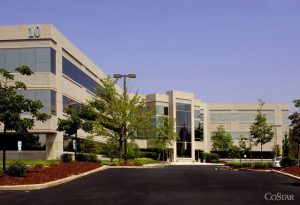 WCRE is proud to have exclusively represented Advocare in the relocation of their new 4,600 square foot office headquarters at Lake Center Executive Park, 10 Lake Center Drive, Marlton, New Jersey. Advocare is a partnership of the top doctors in New Jersey and Pennsylvania, including pediatricians, family practice doctors and specialists, each of whom has strong bonds to the children, adults, families, and communities they serve. Advocare delivers health care excellence as an integrated physician owned and governed multi-specialty medical organization. 10 Lake Center Drive, owned and operated by Tequesta Properties is a Class “A” mid-rise office building in a first-class setting. The park is strategically located in Marlton, Evesham Township in a thriving business community. 10 Lake Center Drive offers dramatic water views, carefully set within 37 acres of wooded parkland, including a 3-acre lake and is within close proximity to all major amenities and roadways within Southern New Jersey. Jason Wolf, Managing Principal of WCRE exclusively represented the tenant in this transaction.